It’s going to be tough to ignore the 2018 Toyota Camry when it hits the streets of Atlanta, Georgia. These new 2018 Camry’s demand to be seen, and driven, with their fearless new look and seductively precise performance. 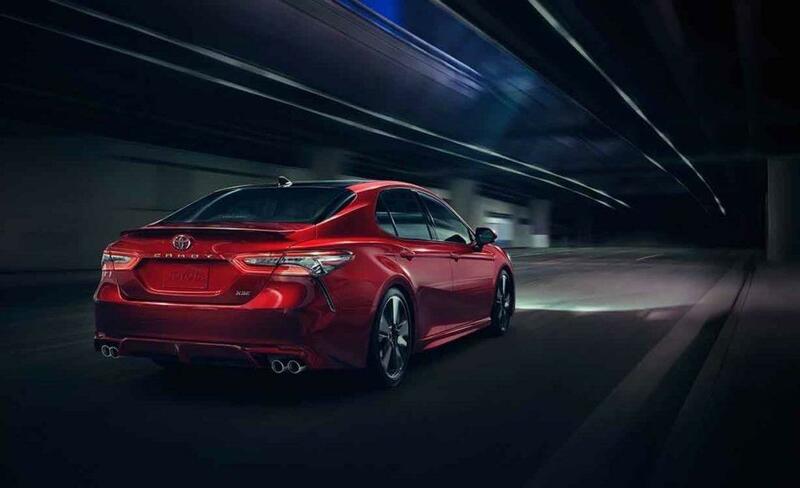 Years of perfecting our beloved best-seller has allowed us to create the exhilarating drive offered by these 2018 Camry models, putting our Atlanta customers in the driver’s seat like never before. The powerful design and aggressive exterior styling of the new 2018 Toyota Camry announce your arrival with an entirely different level of authority. 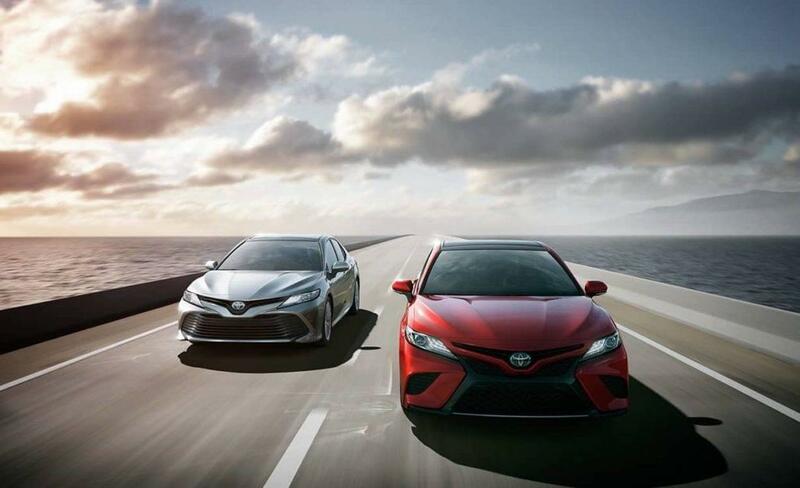 Their wider and lower stance will challenge you to elevate your aspirations on the busy streets of Atlanta, while the lowered roofline of these 2018 models only adds to their seductive shape and speaks to Camry’s sporty nature. It’s a look that’s all at once tempting and tantalizing, and they’ll be arriving soon at Nalley Toyota Union City. It’s time for you to go more places in Atlanta, Georgia with a renewed feeling of complete confidence, and always arrive looking fashionably great. 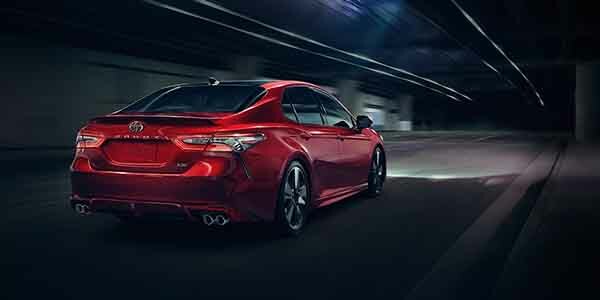 The Toyota design team created a 2018 Camry that features an adventurous and stirring appearance that will have your pulse racing before you even enter the vehicle. 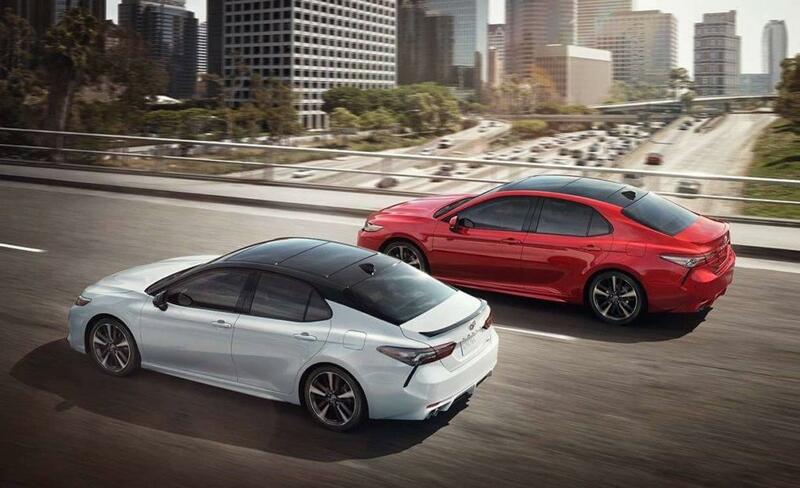 With both a lower hood and roofline, these new Camry models allows Atlanta drivers to take on the roads and highways of Georgia with a lower center of gravity. That means more fun and excitement on each and every drive. The intuitive driver-centered controls and inspired handling of the new 2018 Toyota Camry help you embrace every Atlanta, Georgia journey, while the available dual exhaust with quad chrome tips punctuates every sporty shift that you make. 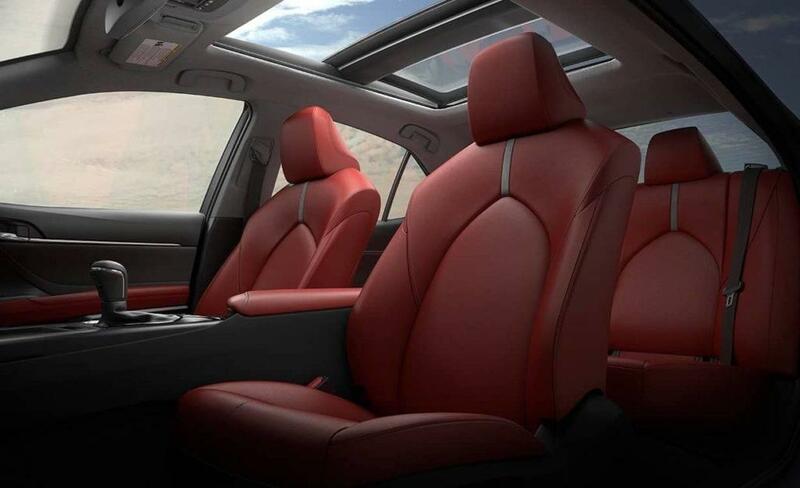 And inside these stunning new 2018 Camry models, you’ll enjoy a wider and more open space thanks to an available panoramic glass roof with moonroof. It’s time to reward all of your wants and desires, in the new 2018 Toyota Camry. 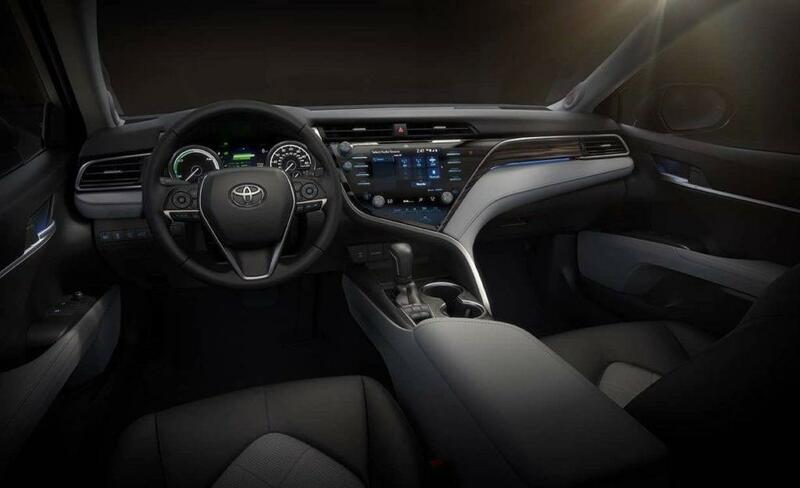 Premium materials and plenty of integrated technologies surround you in the 2018 Toyota Camry cockpit, comprising a stunningly elegant interior that absolutely makes a first impression that lasts. Its intuitive, driver-centered controls and inspired handling help you embrace each Atlanta journey you take with premium and uncompromising style, satisfying all of your wants and desires. 2018 Camry’s also offer wide-ranging safety features to help keep you and your passengers safe, and make each drive more enjoyable than your last. 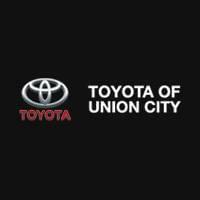 Nalley Toyota Union City serves customers from Atlanta, Fairburn, Palmetto, Riverdale, College Park, Union City and all of the surrounding communities, helping them find the new Toyota Tacoma that can accommodate both their lifestyle and their budget. We take immense pride in the high level of service that our Georgia dealership is known for providing, and we work hard to ensure that every customer that walks through our doors leaves satisfied. When it’s time to purchase your new Tacoma, visit 4115 Jonesboro Rd. and speak with one of the friendly salespeople at Nalley Toyota Union City.